We are locally owned and operated which makes our services admirable as they are done by friendly and helpful technicians. Electrical solutions for single-family, town-homes, multi-family homes and custom homes. From the office personnel to our state certified electricians and apprentices, we will do whatever we can to make your problem easy to deal with. We offer custom installation by our fully trained team. Our experts will set up your system and demonstrate how to utilize it to its’ full potential. Whether you want to arrange for new system setup, or just a checkup of your current setup, our team will take care of it quickly and efficiently. Indoor arenas can provide fans with a 360-degree view of all the action with an in-bowl centerhung video display. Daktronics systems are the easiest to integrate through the entire arena. As a full service technology partner Novatek Electric can provide the Data Cabling Network wiring and voice cabling for your new office build-out. We understand you are a busy person and whenever an electrical problem comes up, it can be a hassle to deal with. Our licensed and experienced electricians are always ready to visit your home and help solve any problems that have appeared. Novatek Electric, offers only the highest quality heating systems. Correct design, installation, and maintenance of your custom centralized heating system helps maximize the return on your investment. We want to help you perform everyday tasks with the right lighting. Our team can make the things that are important to you stand out with accent lighting or just simply make your home more visible. We can upgrade or repair your electrical panel with quality results. 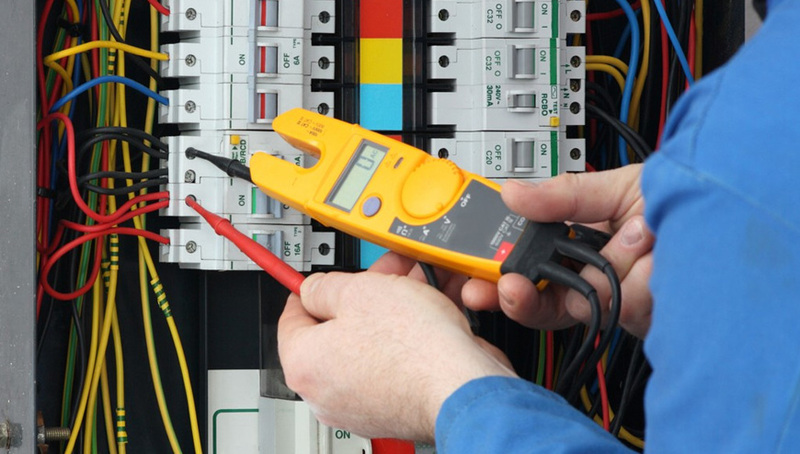 Ensure your home is getting the best when it comes to electrical repairs and panel upgrades. Reported problems with aluminum wiring have been related to the overheating and failure of aluminum wiring terminations. This is due to the tendency of aluminum wiring to oxidize, and aluminum’s incompatibility with devices designed for use with copper wiring only. Aluminum has a higher rate of expansion than copper wiring, which can lead to loose connections, arcing and melting, eventually fire. Been dreaming of installing a pool? Turn that dream into reality! Here at Novatek Electric in the Greater Montreal area, we offer top-of-the-line pool and hot tub installations to help complete your backyard project. Surges are sudden and unexpected spikes in voltage that travel throughout your home’s electrical system. Some surges come from within your own home, such as turning on a dryer or sending a document to your printer. Novatek Electric is Certified for the installation of car charging stations from Tesla Motors, Chevy, Cadillac, and BMW. With a growing demand from customers and employees alike, many of our clients are searching for Electric Vehicle (EV) charging solutions. Many people believe that optimizing power distribution systems and achieving ideal power factor is complex and costly.